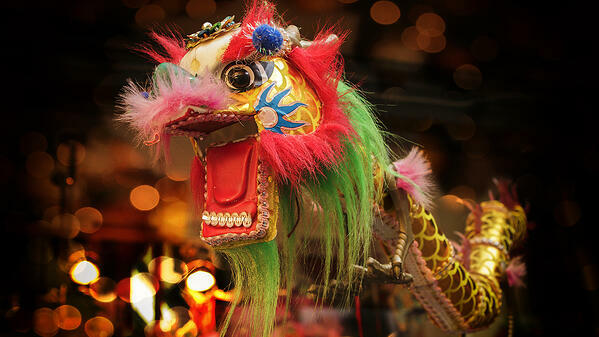 Chinese New Year, also called Spring Festival, is China’s the most important celebration of the year. All Chinese people come back to their hometown for days in order to gather with their family and enjoy delicious traditional food. 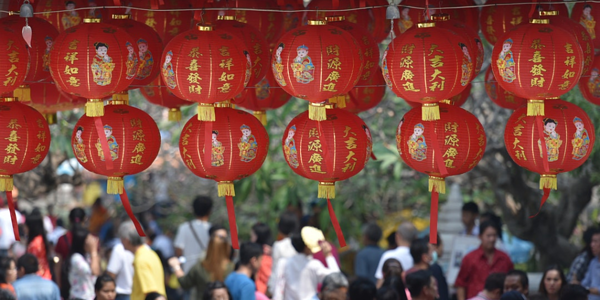 In this article, you will learn a lot of new things about the Chinese New Year: what people do, and what they avoid to do, in order to bring luck, happiness, money, health, and success into their life. Chinese New Year is the time of the year which everyone goes back to their hometown to visit family (a practice called 拜年bài nián). When gathering all together, it’s customary to offer gifts such as fruits, candies, and red envelopes filled with money, called 红包 (hóng bāo). Besides, Chinese people love participating in open-air markets organized especially for Spring Festival. In these markets, you can find 年货 (nián huò) which defines merchandise sold for Chinese New Year. It is mostly food, gifts, flowers, and decorations. 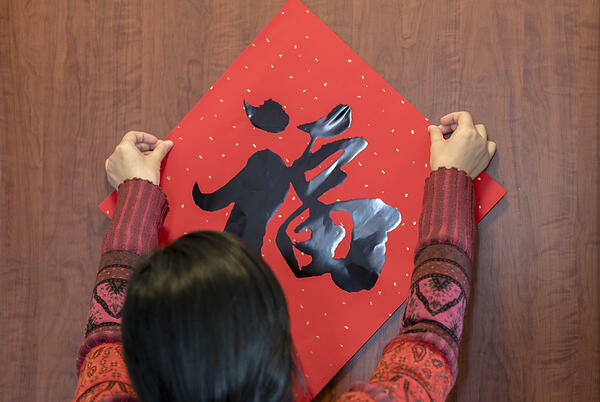 Talking about decoration, Chinese people decorate their door with Spring Festival couplets and square pieces of red paper, called 春联(chūn lián), and leave them the entire year until the next Spring Festival. The red paper decorations are written with calligraphy representing lucky characters as well as Chinese New Year’s sayings and greetings that are often used during this time of the year. 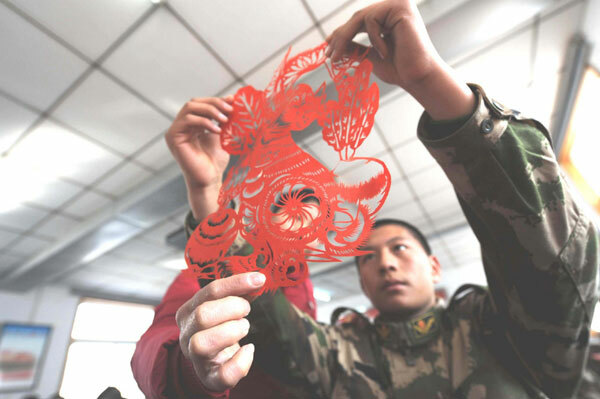 It is also really common for Chinese people to decorate their windows with beautiful paper cuttings, called 窗花 (chuāng huā), representing animals, flowers or landscapes. 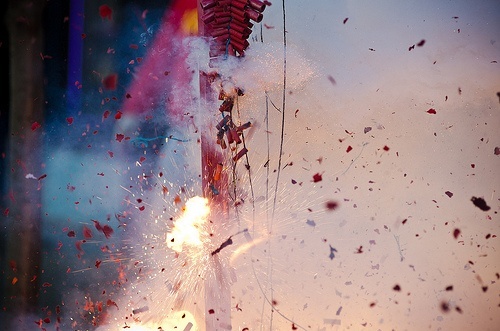 During Spring Festival, you can see a lot of people lighting firecrackers, 放鞭炮 (fàng biān pào) in order to scare away a horrendous monster “Nian” according to the legend, used to come to the village to eat everyone. It is now used to scare away evils and bad luck. Finally, the locals love to wear red during the Spring Festival. It is a lucky color for traditional Chinese. If you come to China, you’ll see plenty of red in the street, as well as in some events such as business dinners or weddings. They regard red as the symbol of energy, happiness and good luck. 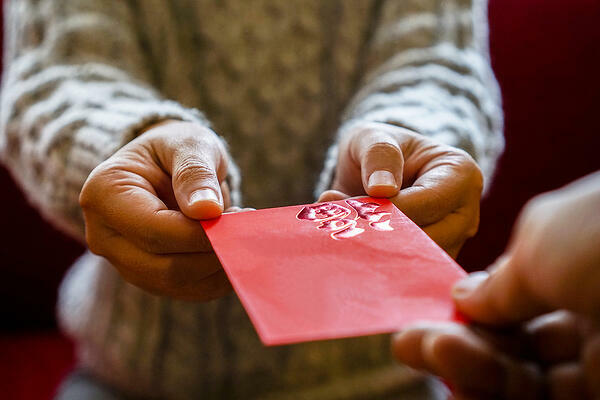 Thus, sending red envelopes is a way to send good wishes and luck (as well as money). Although there are lots of customs to bring luck into their lives, there are also things not to do to avoid bad luck. Every culture has its own unique superstitions (迷信 – mí xìn), and China is the same. Chinese culture is rich in beliefs, customs, and superstitions that vary greatly from those in the West. (For married women) No visit to their parents’ home as it is believed it could bring bad luck to them. 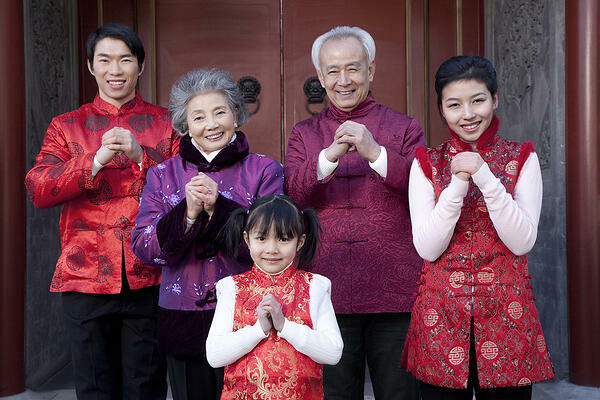 If Chinese parents have a married daughter, they would wait for the second day of the Chinese New Year before welcoming her. No sweeping. It would sweep the wealth away. Don’t take out the garbage too since it symbolizes dumping the good luck or good fortune. No hair washing. In Mandarin, hair (发) has the same pronunciation (and indeed is the same character) as fa in fācái (发财), which means 'to become wealthy’. Therefore, it is seen as not a good thing to “wash one’s fortune away” at the beginning of the New Year. No medicine (herbal or not) during the Chinese New Year. Chinese people believe it will make them sick the whole year. No porridge in your meal. This is considered as something only poor people would eat, and nobody wants to start the year being “poor”. No use of needles, knives, and scissors to avoid any accidents. Harming a person is thought to lead to inauspicious things and the depletion of wealth in the coming year. Regarding the rest of the celebration period, a lot of things to avoid still remain. For example, parents do their best to keep children from crying since the cry of a child is believed to bring bad luck to the family. Breaking things can be associated with a loss of money, thus, shop owners or businessmen would be really careful during this time of the year. Except in case of emergency, visits to the hospital are avoided to prevent illness in the coming year. Getting robbed can signify a loss of money, as well as being indebted. Thus, it is better to pay your debt before Spring Festival. Also, money should not be lend during this period of the year. When eating, the rice jar should not be left empty, in order to avoid starvation. Wearing damaged clothes brings bad luck, as well as wearing white or black clothes since they are the colors associated with mourning. Finally, when offering gifts, avoid clocks, scissors, towels, pears as well as certain types of flower, pears. They’ve got a bad meaning in Chinese culture. 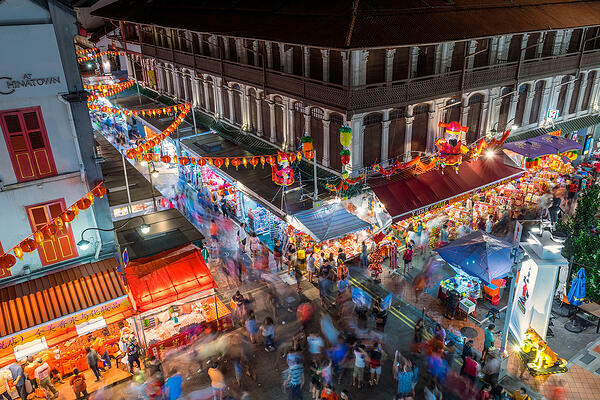 What makes actually Chinese New Year really interesting is all of the customs, traditions and beliefs that are behind it. Even though some superstitions tend to disappear among the young people, they still remain in the culture. If you have one day the opportunity to spend the Spring Festival with Chinese people, make sure to remember all of these customs. Spring Festival is the most important time of the year for Chinese people. It is not only the celebration of a new year, but also the new start for a happy and lucky life. It is the moment of the year when all the generations of the family can be reunited all together. Pierre Cerchiaro is a contributing writer at TutorMing. 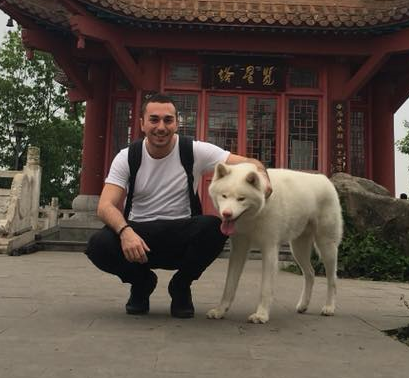 He is a French expat working in Taiwan and has had both studying experience in China and Taiwan. He is passionate about the Chinese language and is a foodaholic.